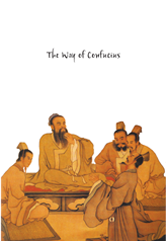 The teachings of Confucius are known primarily through the Analects of Confucius, a collection of "brief aphoristic fragments," which was compiled many years after his death. Setting Confucius' ideas against the context of his own life and times, Jonathan Price brings to life the thoughts of the Master in their pristine form. Price traces the influence of Confucius both in China and globally right up until our own day, and examines whether the world needs to listen to him once again.